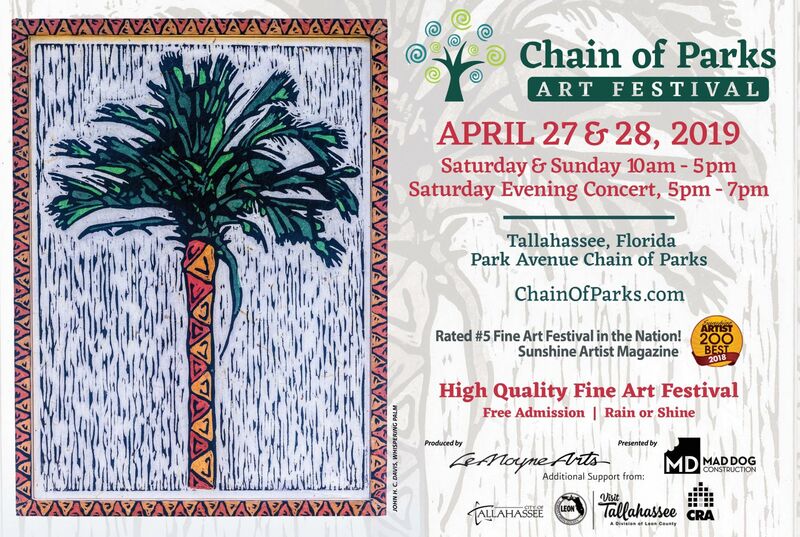 LeMoyne’s upcoming Chain of Parks Art Festival will take place April 27th and 28th in Tallahassee’s downtown Chain of Parks. 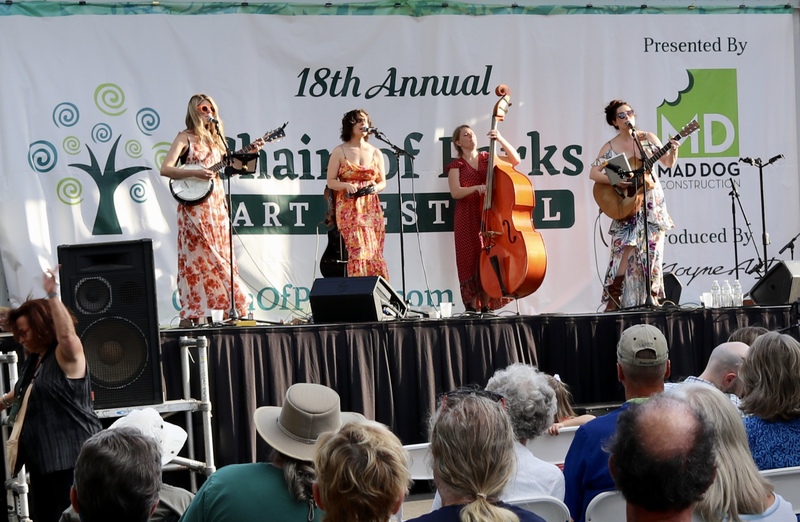 The festival benefits LeMoyne Arts’ educational programs and gallery exhibits. 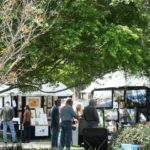 This annual event draws thousands of people from around the Big Bend/Southeast region to see over 170 artists who have traveled from across the country to present and sell their original fine art. 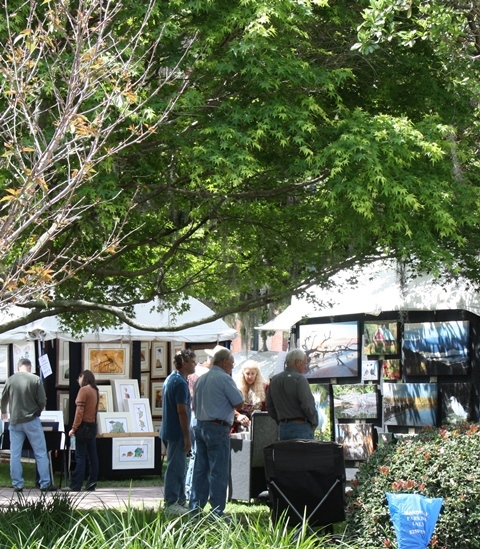 The artists bring their art for sale and to be considered for awards by our expert judges. 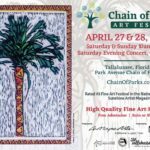 Visitors can stroll through beautiful downtown Tallahassee parks under the stately live oaks and enjoy our city in the height of spring’s grandeur. 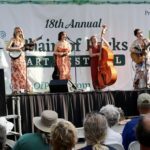 Saturday Evening Concert: 5 p.m. – 7 p.m.